No matter how many cities you have travelled to, this charming city will definitely cast a spell on you. 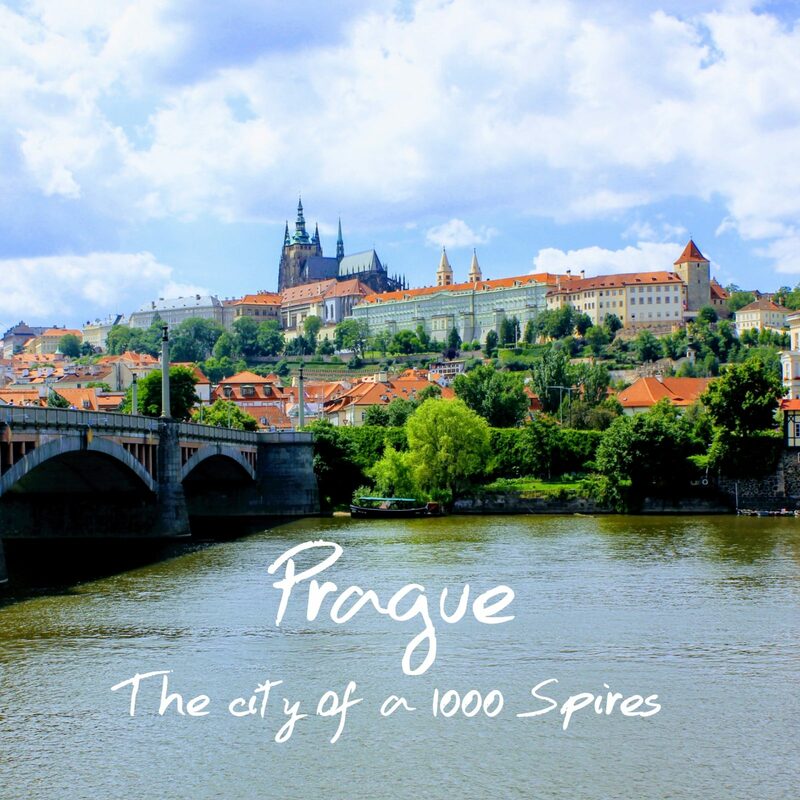 Straight out of a fairy tale – one falls in love with Prague easily! 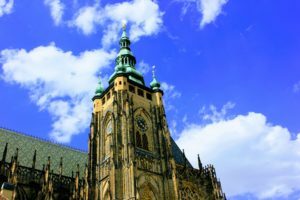 It has everything from beautiful castles, cobblestoned streets, gothic cathedrals, arched bridges, medieval looking homes, beer gardens and more. So much so, even Hitler loved it and made sure Prague was preserved and not destroyed in WWII. 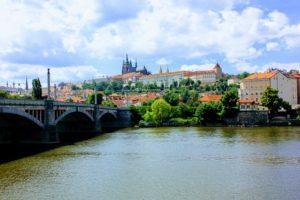 Praha’s heart and soul are surrounded across the Vltava river – with the Prague Castle and the Lesser Town on the left bank and the Old Town along with the Jewish quarters on the right bank. Connecting the two banks is the iconic Charles bridge. 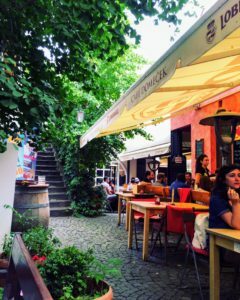 We spent 3 days exploring this Bohemian gem – walking the winding streets trying to find as many hidden squares as we could. 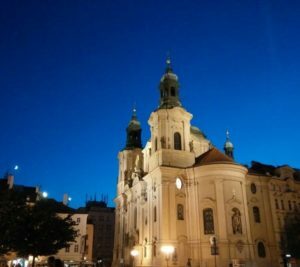 The Old Town – We started with the Old Town square, the historic centre of Prague. This square is the heart of old town – with local artists and tons of tourists. Just sit on one of the benches, grab a beer, eat a sandwich and enjoy! 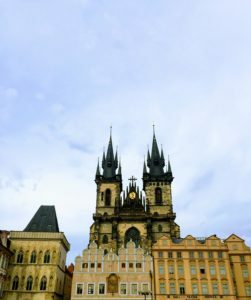 Here you have the Church of St Tyn with its Gothic Spires, the Old Town Hall and the iconic Astronomical clock – the oldest operating astronomical clock in the world. If you happen to be around, do see the hourly display of the Apostles (disciples of Jesus Christ), however, don’t wait longer than a few minutes – as it doesn’t live up to all the hype. 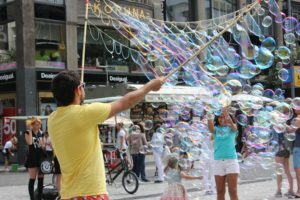 Bubbles – make me very happy! Charles Bridge – the most crowded pedestrian-only bridge. Perfect for soaking in the grandeur of the castle and the stunning scenery around it. Built of sandstone blocks, lined at each end by the Lesser Town Bridge Tower and the Old Town Bridge Tower. Old Jewish Quarters & Synagogues – Commonly known as the Prague Jewish Ghetto, it is one of most well preserved Jewish complexes in Europe. With over 6 synagogues which includes the Old-New Synagogue (the oldest active synagogue in Europe) and so much history – we ended up spending a lot of time here. 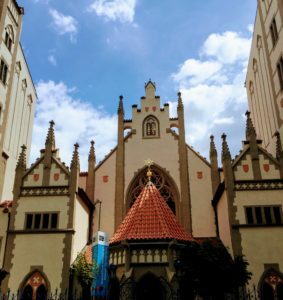 The Jewish Quarter is also the birthplace of the famous writer Franz Kafka. 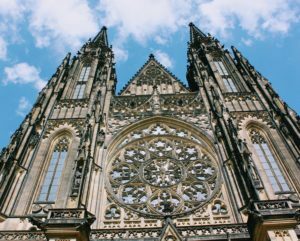 Prague Castle – This is the largest ancient castle in the world. This complex with multiple palaces, historical buildings and churches have over 1000 years of history. Traditionally, the castle was the seat of Czech rulers and today is the Czech president’s official residence. 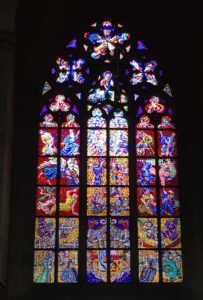 Vitus Cathedral – this gothic cathedral with its stained glass windows is worth a visit while inside the castle. Golden Lane – A row of old low houses. It takes its name from the goldsmiths that lived there in the 17th century. We also wandered beyond the castle gates for the best views of the city. The walk down from the castle is fun with vineyards on one side and the city view on the other. 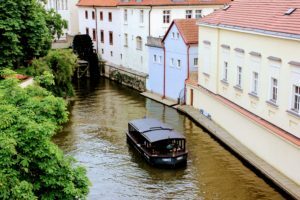 Kampa Island & Lennon Wall – just off the Charles Bridge is the Kampa Island. 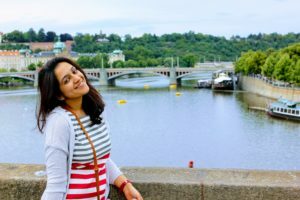 This quaint island is perfect for a quick walk while enjoying the views of the bridge and the Vltava river. They are a number of cafes and restaurants to sit back and relax. 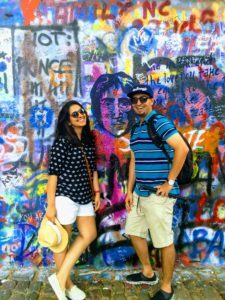 Do check out the Lennon Wall – created in 1980’s by students. This colourful wall today represents love and peace. Parizska Street – is one of the most beautiful streets in Prague. It is also the most exclusive and expensive street in the whole of Prague! Located near the Jewish district in old town – it is full of high-fashion boutiques. 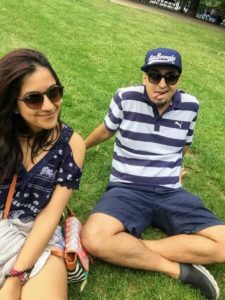 Letna Park – With a lot of walking trails, beer gardens and expansive views of the city – we ended up spending an afternoon in the park. All we did was laze around, watched locals and played monopoly deal (our favourite travel game). 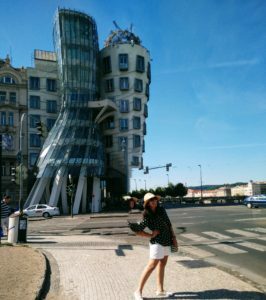 Dancing House – A post-modern building – this is a contrast to Prague’s historic attractions. It is a man and a woman, dancing together. Honestly, for us, it was a little underwhelming. 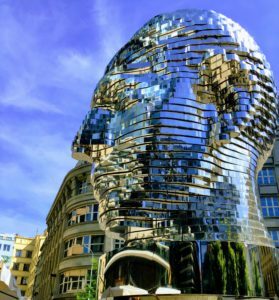 Statue of Franz Kafka – This is a technical marvel in Prague. With 42 moving panels that form the face of the great Czech writer Franz Kafka, it is a must visit. Sadly, the statue was under maintenance when we visited. 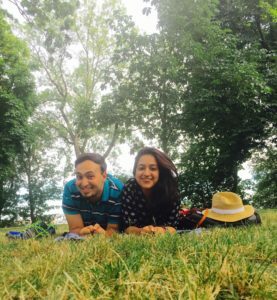 Since we love walking, that is all we did in Prague. We started with a free walking tour with New Europe (Sandermans). 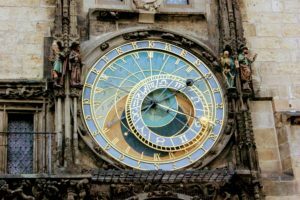 They give you an overview of all the main sites – Old Town Square, Charles Bridge, Prague Castle, Jewish Quarter etc plus give you the all the fun stories. We also did the Castle tour with them. Our Tip: Most of the city centre has cobblestone streets – so do get comfortable shoes! 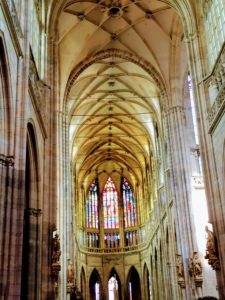 Czech Pivo – With the highest per capita beer consumption in the world – one must try the local beers when in Prague. 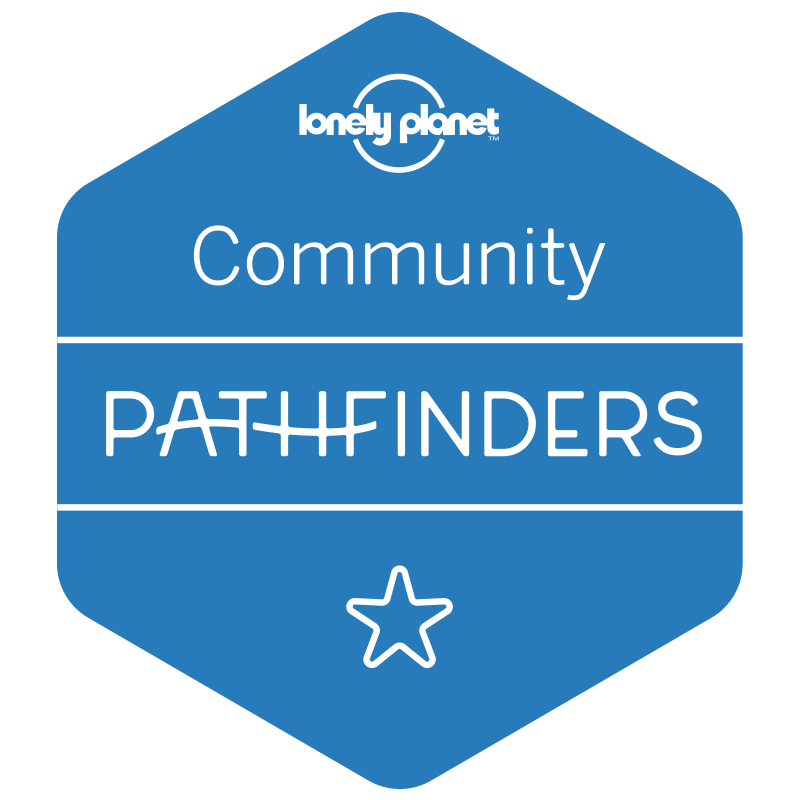 The most common Czech beers are pale lagers or pilsners. 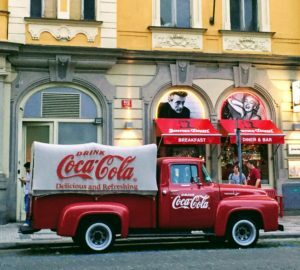 Fun fact – the Czech Republic is home to the original Budweiser. 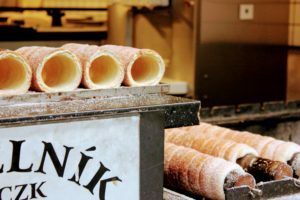 Trdelnik – most common pastry found in Prague – it is made of rolled dough, grilled and then topped with sugar. With so many variations and toppings (hello, Nutella) – one must try! 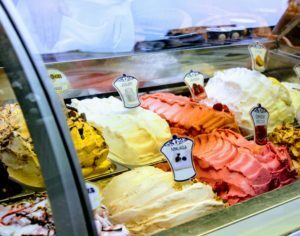 Gelato – Perfect during summer months – Prague has some great gelato around the old town square. Angeloto there was our favourite. Well written.very useful information. Looking forward to go there..god bless.